Buy 5 or more for $2.49 each. Product Close-up | Editorial Reviews Visit the Rose Store for more products! 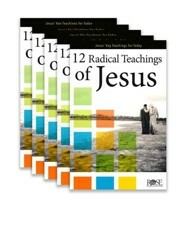 Twelve teachings of Jesus that were radical concepts for his time and still bear great impact for us today. Discover what Jesus said about forgiveness, faith, love, caring for others, and more and learn how to apply these teachings for our lives. 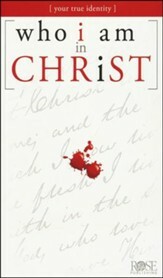 Great for small group discussions or Bible studies on the teachings of Christ. 14 panels unfold to 33" long. Fits inside most Bibles (8.5" x 5.5"). Glossy coating. 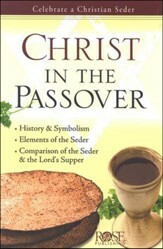 Part of the popular Rose Pamphlet series. Jesus challenges us to leaving behind convenience, comfort, security, money, and even family to follow him. He calls his disciples to abandon everything for the gospel, but how can we apply that to our 21st century lives? Without fully understanding the cultural context of Jesus' day, it's easy to dismiss or forget the important lessons he was teaching. Dig even deeper into the Bible as you see the background, meaning, and application of 12 key teachings of Jesus side-by-side at a glance. With 12 quick-reference charts, this pamphlet covers the teachings of Jesus in a way few resources can—showing key verses, explanations, reflection questions, and insights at a glance. 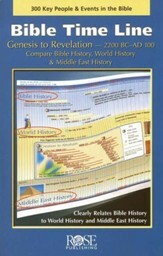 Includes cross references, application questions, and key points—perfect for quick reference and small group study. From forgiveness to unconditional love, dive into the radical gospel of Jesus at the turn of a page with this slimline pamphlet. Many believers and non-believers misunderstand the key teachings of Jesus. How can you explain the key teachings in an easy-to-understand way? The 12 Radical Teachings of Jesus pamphlet shares a dozen of Jesus' teachings that were radical for the disciples and hearers at that time, and are still impactful for us today. Discover what Jesus said and how to apply it to your life today. 14 fold out panels, unfolds to 33 inches long. Caring for "the least of these"
Enjoy clearly seeing 12 of the key teachings of Jesus at a glance! Easily compare the world's teaching with Jesus' teachings side-by-side. Deepen your knowledge of the Scriptures and your understanding of faith with this easy-to-use pamphlet! 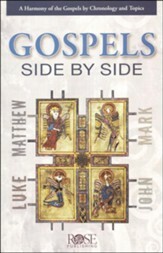 Perfect for individual study, small group, homeschool, or your church library. Packed with dozens of key verses and Scripture references, easily navigate through the teachings of Christ with this quick-reference pamphlet. It's never been easier to know what you believe and why you believe it. The quick reference format makes teaching and learning simple and clear. Don't just read the gospel. Learn to live out the 12 radical teachings of Jesus with engaging life application questions to bring your faith into today's context. Read #9. Jesus taught his followers to "love your neighbor as yourself." Think of one action or gesture someone did for you that has left an impression on you. Can you help someone else in the same way this week? Read #8. Can you think of a moment when someone showed you forgiveness and you felt surprised by it? What did they do to make you feel like they had forgiven you? Was it a conversation or an action? Read #3. Think of a time when you saw someone do a good deed which caused you to give glory to God. You might have thanked the person, but what was it about this action that made you give glory to God? Read #8 and #4 It's one thing to forgive your enemies. It's entirely another to show them unconditional love as well! What do unconditional love and forgiveness have in common and why are they so difficult to carry out sometimes? Read #5. Some people don't have material earthly treasures. Some people treasure human approval, whether it's praise, "likes" on social media, fame, etc. Is this type of treasure as distracting as material gains? Why or why not? 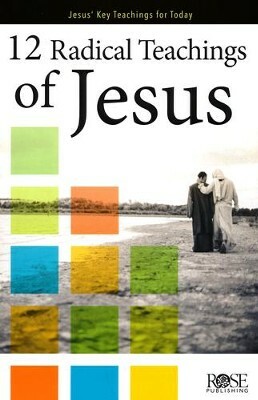 Read page 7 about the Kingdom of God. Read the cross reference 2 Cor. 5:18-21. What does it mean to have been given the "ministry of reconciliation" and "message of reconciliation?" What does that look like in your life? Read #11 and pay special attention to the "Know This" section. Jesus wasn't concerned about politics as we are today, but he emphasized discipleship. Why do you think discipleship is so important? Take a moment to pray and ask the Lord if he wants you to be discipled by someone in your community or even disciple someone! Read #2. Think of your friends, coworkers, or people in your community. Are there people that are afraid they won't make ends meet or find a job? Maybe you can be God's blessing in their lives by giving a bag of groceries or helping them proofread their resume. Think of a couple ways you can show someone this week that God cares for them. Read #1. In what areas of your life do you strive for "firstness?" Is it to get the most compliments on your casserole at the church potluck? Or to get the highest sales at work? Read #6. Why is it such a dangerous thing to be hungry for the approval of people? In what areas of your life do you crave attention and praise from others rather than God, and what is the need that only God can fill? I'm the author/artist and I want to review 12 Radical Teachings Of Jesus.